Science is now making it increasingly clear that it is possible to therapeutically impact physical and emotional issues by affecting the subtle energy bodies which are in dynamic equilibrium with the physical body. According to Dr. Richard Gerber in Vibrational Medicine the etheric body is a subtle-energy template that guides the development of the physical body. Distortions in the etheric template may be a prediction of illness months prior to it becoming manifest in the physical body. Working with vibration and frequencies, we can detect distortions in the etheric field and using 5th dimensional energy, allow the client the opportunity to let go, re-pattern the distortion, and change the anticipated physical outcome. These original sounds were apparently used in Ancient Gregorian Chants, such as the great Hymn to St. John the Baptist, along with others that church authorities say were lost centuries ago. The chants and their special tones were believed to impart tremendous spiritual blessings when sung in harmony during religious masses. These powerful tones were rediscovered by Dr. Joseph Puleo as described in the book Healing Codes for the Biological Apocalypse by Dr. Leonard Horowitz. I give honor to both of these gentleman for the part they’ve played in helping return these lost tones back to humanity. 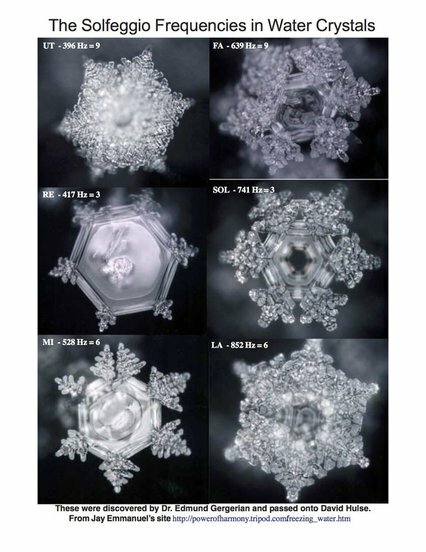 For example, the third note, 528 Hz, relates to the note MI on the scale and derives from the phrase "MI-ra gestorum" in Latin meaning "miracle." Stunningly, the 528 Hz Frequency - according to Dr. Horowitz's research - is the exact frequency used by genetic biochemists to repair broken DNA – the genetic blueprint upon which life is based! Let’s look at the seven auric fields that energetically make up our physical body. Most of us have been taught that the body has an aura. I come from the premise that the aura has (is) a body! The furthest field out is the ketheric (crown) which is the least dense (steam) and holds the perfect blueprint for our physical body (ice). As we work our way to the physical body we go through other fields that store our experiences, beliefs, and emotions, becoming denser along the way. As the blueprint of the ketheric moves down through these other fields, the perfect blueprint – which is never lost, but held in the ketheric field – is changed to something less than perfection – forming an inferior body. As we come to the field closest to the physical body, there is an interface that takes place between the etheric and the physical. This interface between these two fields is what we work with in the Phase 1 Energy Vitality Technique. Science is now making it increasingly clear that it is possible to therapeutically impact physical and emotional issues by affecting the subtle energy bodies which are in dynamic equilibrium with the physical body. According to Dr. Richard Gerber in Vibrational Medicine the etheric body is a subtle-energy template that guides the development of the physical body. Distortions in the etheric template may be a prediction of illness months prior to it becoming manifest in the physical body. 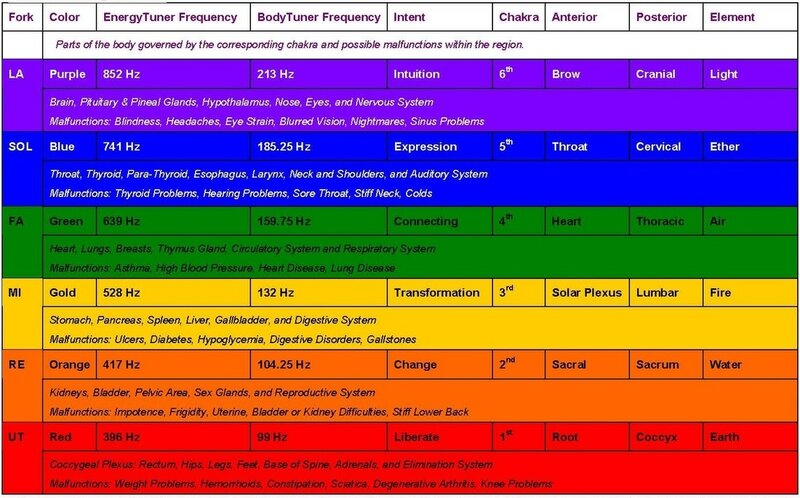 Working with the Ancient Solfeggio Frequencies, in the form of Energy Tuners, we can detect distortions in the etheric field and using 5th dimensional energy, allow the client the opportunity to let go, re-pattern the distortion, and change the anticipated physical outcome. Open the gateway into alternative realities and explore altered states of consciousness to empower ones self-healing and increase creativity. These special sound ratios are part of a continuum of sound that spirals in and out of different realities. Imagine children walking down the beach picking up sea shells and putting them to their ears. The sound inside the sea shell is the same as the sound created by these special ratio tuners based on the Fibonacci Series. Children enter the sound of the sea shell much like Dorothy in the Wizard of Oz being transported by a cyclone to the Land of Oz or Alice going down the rabbit hole to discover Wonderland. They discover realities within realities. Each alternative reality is a location within a spiral revolving around a central vortex of stillness which connects with the Universal Energy Field. When we listen to the Fibonacci Tuners, like children going inside a seashell, we naturally seek out alternate realities within the sound. Each alternate reality is a location within a spiral revolving around a central vortex of stillness which connects with the Universal Energy Field. In many instances it may be more effective to work in an alternate reality to effect healing then in normal reality. This is no different than a psychotherapist using dreams or a reflexologist pressing points on the feet, hand, or ear to effect healing within the whole body. In cases of trauma and addiction people often times disassociate into alternate realities. 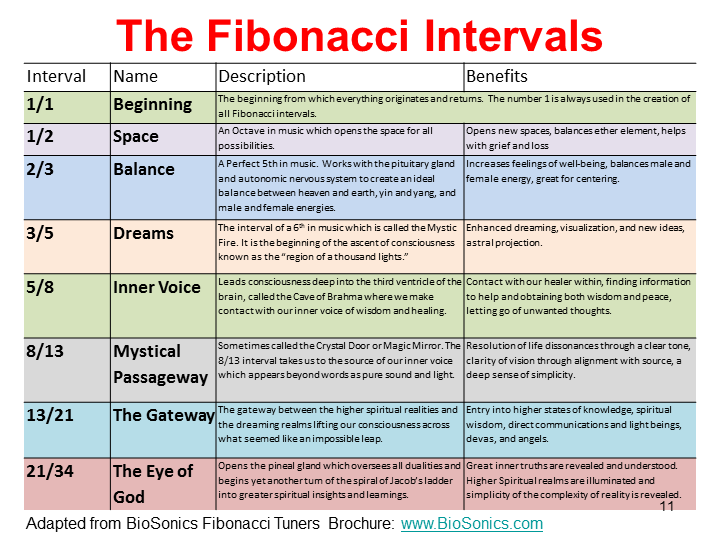 The Fibonacci Tuners create a bridge between these realities which can promote a healing response. 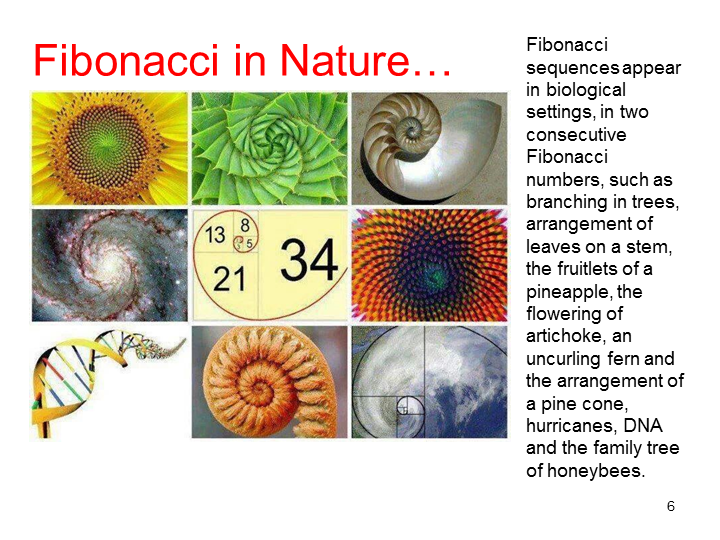 Fibonacci and the Golden MeanWhat is the Golden Ratio? The Golden Ratio is a unique number, approximately 1.618033989. It is also known as the Divine Ratio, the Golden Mean, the Golden Number, and the Golden Section. Its unique mathematical properties have resulted in a very long and influential history. 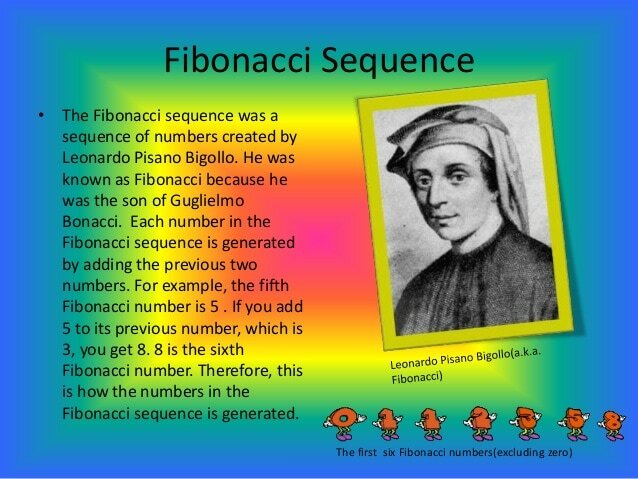 What is the Fibonacci Sequence of Numbers? The Fibonacci numbers are a unique sequence of integers, starting with 1, where each element is the sum of the two previous numbers. For example: 1, 1, 2, 3, 5, 8, 13, 21, 34, 55, 89, etc. 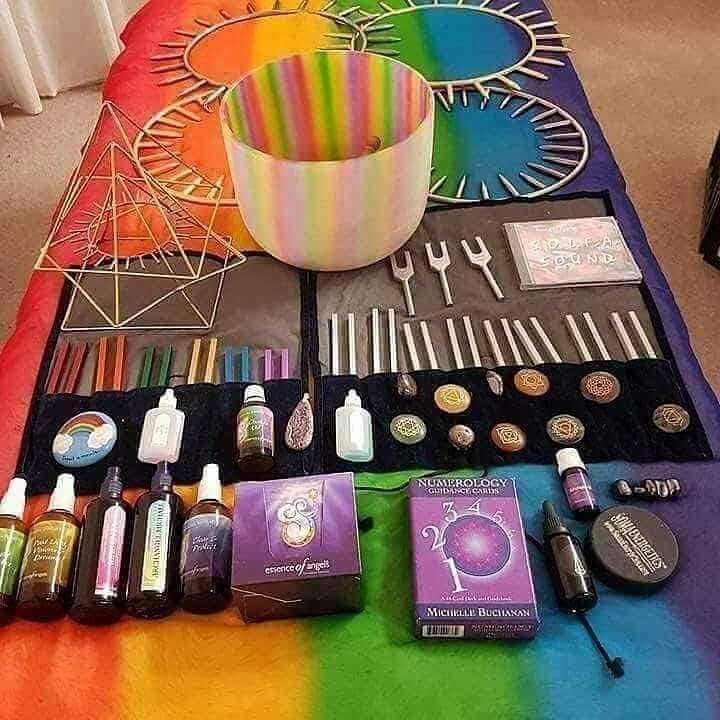 After having a session with the tuning forks I am feeling really focused again. For the last 4 months I have been struggling with a huge work load and unable to listen to my higher self. What a difference you have made, I am once again grounded in the physical and in tune with my intuition. I had a tuning fork session with Julia a few weeks ago. Not only is it extremely relaxing but also the vibration from the sounds the forks make can be felt deep within the body. I really liked my treatment and had another one a few weeks later. ​I did have a bit of tension and sometimes some pain in my liver area, when I shared this with Julia she used the appropriate tuning fork for this area of the body and I felt like energy was leaving my body. The lightness I felt afterwards was very elating! I definitely will have more sessions. I received a distant healing session from Julia and was very happy with the whole process and the results. It was was conducted in a caring and professional manner. Consulting was included before and after which helped understand the workings of this energy. This powerful at a distance, imagine this at closer range. In Julia's Healing Sessions she uses Tuning forks as her main Healing tools but also because Julia works very intuitively she has now added in other Sacred Geometry healing tools into her clients sessions to get the best possible result for her clients needs, this way is making the healing sessions go to a whole new advanced level incorporating Tuning Forks, Pyramids, Sun Rings, Neutralisation Rings, Essences as needed, Crystals, Crystal Bowls etc. Julia also often brings through the reconnective Healing frequencies through her hands during the sessions as well which seem to fast track the healing and seems to also push people further on track to their true life purpose so if your feeling stuck in any area of your life please reach out to Julia for a healing session. Julia works mainly doing distant healing sessions to reach people all around the world she has done distant healing sessions with great results with clients around New Zealand, Australia, Canada and USA. "energy flows where attention goes" so distant is no problem infact people seem to get the almost exact same results whether they are in person or distant session laying in the comfort of their own home. Alternatively if you wish to travel to Tauranga for a in person session that can be arranged or if you live locally in the area. This is designed for those who are committed to their healing journey and also maintenance of their personal energy field, keeping their chakras and Aura strong, vibrant and energised, I would love to work with you if your committed to your healing journey clearing energetic blockages whether that be trauma, out-dated belief systems, and would like to be able to move on from past hurts, grief, trauma, and be able to experience life on the other side feeling energised, and joy for life and inspired. 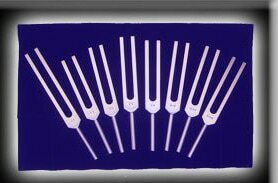 We cannot manifest what we don't have the energy for, the tuning forks are designed also to give you more energy. It is like putting more money into your bank account so you have more to spend when you need it, with more energy you have more energy reserves to be able to jump out of bed to manifest your hearts desires with greater ease and vitality. “Divine Source wants this Sacred Knowledge returned to the masses of spiritual people who long for it. By returning to God’s clock, calendar, musical notes and color scheme, humanity will return to the matrices of (higher) thought that enables Spirit to inspire natural “communion”. That is, people who sing the notes of the Solfeggio, and practice the precepts therein, will be blessed with peace, health, harmonious social relationships, and oneness with Spirit. - From “Healing Codes for the Biological Apocalypse” - by Leonard G. Horowitz, D.M.D.